After yesterday’s badness, Ryan got some good news in the form of a new ad campaign. “Just as Pine Bros. is forgiving to your throat, the company asks [the] public for a little forgiveness for an American swimming legend,” the company said in announcing the deal Thursday. Nope, CNN Money. Way to #Brand, Pine Bros.
At the presser, Team Lochte-Pine Bros. also released their first print ad campaign featuring the Olympic swimming legend. 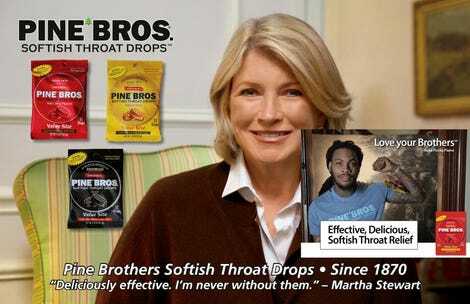 Ryan Lochte’s first ad with Pine Bros. cough drops. This is 500 Days of Ryan.